Every case of meningococcal disease is a tragedy, but when a case happens on a college campus, it causes even greater anxiety. Many of these cases can be prevented by having students vaccinated against meningococcal serogroups A, C, W and Y on schedule at 11-12 with a booster at age 16. But this won’t stop cases of serogroup B. All universities where an outbreak occurred held emergency clinics to administer serogroup B vaccines to the campus community to help stop the outbreaks, but the best way to prevent these cases is to make sure all students are #BVaccinated before they step on campus. A routine recommendation for serogroup B vaccine would make that easier. Right-click to download and share! Earlier this week we shared some perspectives on the often overlooked impact of meningococcal disease on friends and family members. We have one more story that we think everyone should hear. T.E.A.M. member Amy Aiken was diagnosed with the flu in October 2011. That night, she started seeing spots and knew something was seriously wrong. She called 911 and lost consciousness in the ambulance. Shortly after her arrival in the ER, Amy’s kidneys failed and she was immediately put on dialysis. It turned out that Amy did not have the flu, she had meningococcal disease. 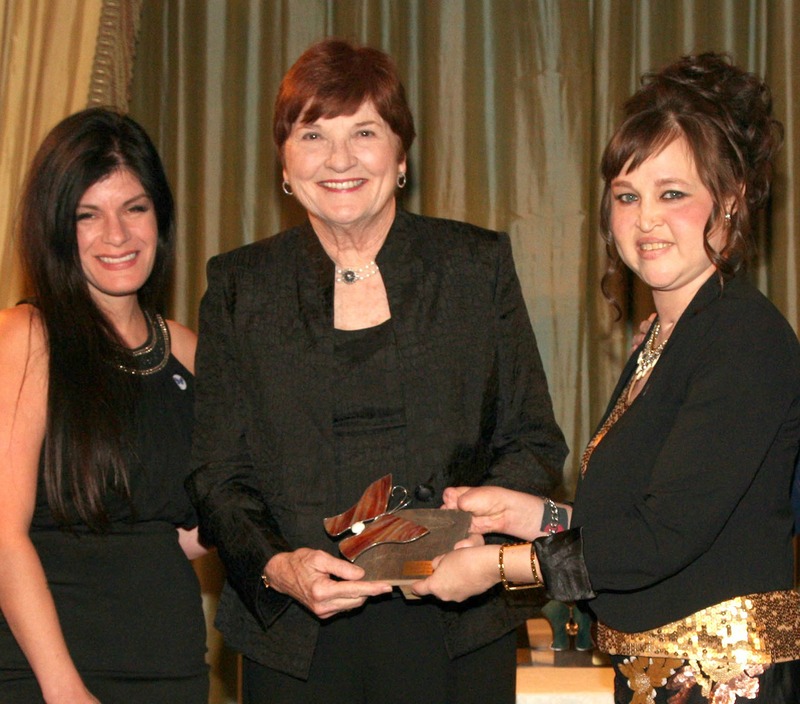 Amy asked her mother Jean, now an NMA M.O.M., four questions in the course of her illness. Questions no one else should ever have to ask, and no parent should have to answer. The first thing she asked me when I walked into the ICU was— “Did I do the right thing?” By that she meant calling 911. I said, “Oh, absolutely!” It saved her life. The next question was “Will I get better?” She asked this right after the doctor told me that she probably had an hour to live. But I have faith in an afterlife, and I don’t see death as a bad thing. So I was able to say “Amy, I guarantee you, you will get better.” Either she would live or be in heaven. When I made that guarantee, I literally felt her whole body relax. But I’ve always felt a little guilty. Did I lie to my daughter? It was our last conversation for two months. She was in a coma after that. And the last question—and this is the one I dreaded the most was, “What made you think I would want to live this way?” I was so thankful that I had an answer when the question came. While she was in a coma, a friend directed me to some videos of survivors. It was amazing to see others who had dealt with amputations and were living. They were happy and I knew there was life after this. The Aiken’s did not know that meningitis is potentially vaccine-preventable. Even if Amy had been vaccinated, the vaccine available at the time wouldn’t have protected her against serogroup B, which she had. Now Amy and Jean are working to ensure that all teens get A, C, W, Y and #BVaccinated. From May 6th to May 12th we celebrate some very important people, people who should really be celebrated every day: nurses! Nurses play a critical role in educating about, treating and preventing meningococcal disease. We are grateful for the many amazing nurses who have cared for us or our families and/or supported our mission. We are especially thankful for our M.O.M.s and T.E.A.M. members who are also nurses. Some of them were nurses before meningococcal disease touched their lives and now they use their story and their expertise to educate their patients and colleagues. Some are meningitis survivors who wanted to help others after enduring hundreds of surgeries or hours of dialysis themselves. So this week, please thank the nurses in your life and help honor our nurse advocates by making sure you and your loved ones are up-to-date on vaccinations! 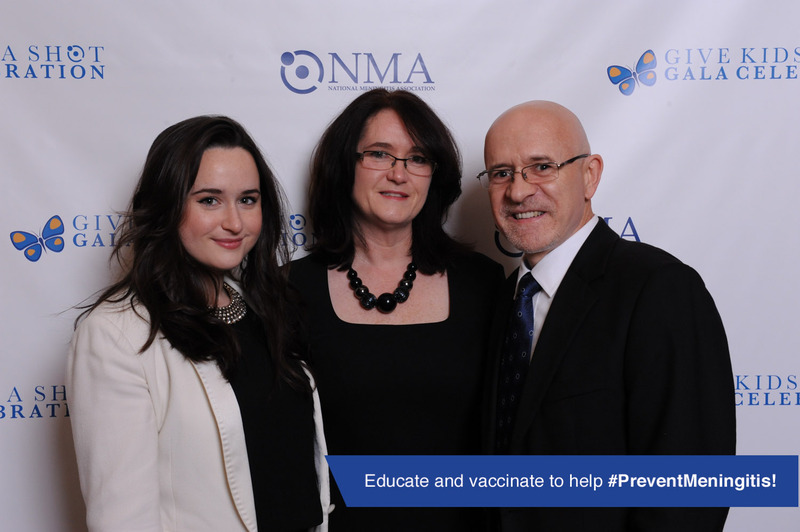 On April 27, 2015 we gathered NMA families, supporters and immunization advocates in New York City for NMA’s seventh annual “Give Kids A Shot!” gala to honor the memories of those we’ve lost to meningococcal disease, as well as the families and survivors who have been affected by this potentially preventable disease. Dr. Baker has worked as an attending physician in infectious diseases for 40 years, describing this work on the frontlines as her “first love in medicine.” A role model for many in the field, she works tirelessly to educate parents as well as the medical and public health community about meningococcal disease diagnosis and prevention. T.E.A.M. member Samantha Bennett survived meningitis when she was just nine months old and is now a talented professional artist. For more than five years, she has shared her story regularly with college students and local policymakers. Sam integrates her advocacy into everything she does, from presenting her paintings at local art studios to educating the public about meningococcal disease while participating in national reality television shows. At the podium Sam congratulated all of NMA’s M.O.M.s and T.E.A.M. members for their bravery and dedication. She said that as a mom now, she “cannot fathom my children being as sick as I was.” Sam urges everyone to talk to a healthcare provider about meningococcal vaccination. Kevin Carroll is the VP of Prosthetics for Hanger Clinic and his commitment to improving prostheses has placed him at the forefront of numerous breakthroughs. He focuses on listening to each person’s thoughts and concerns and understanding their unique situations. Kevin’s work has helped some of our T.E.A.M. members and has also improved the lives of many other meningitis survivors (about 20% of whom live with long-term complications including amputations). Kevin said that “it is a privilege to work with those who have survived meningococcal disease. 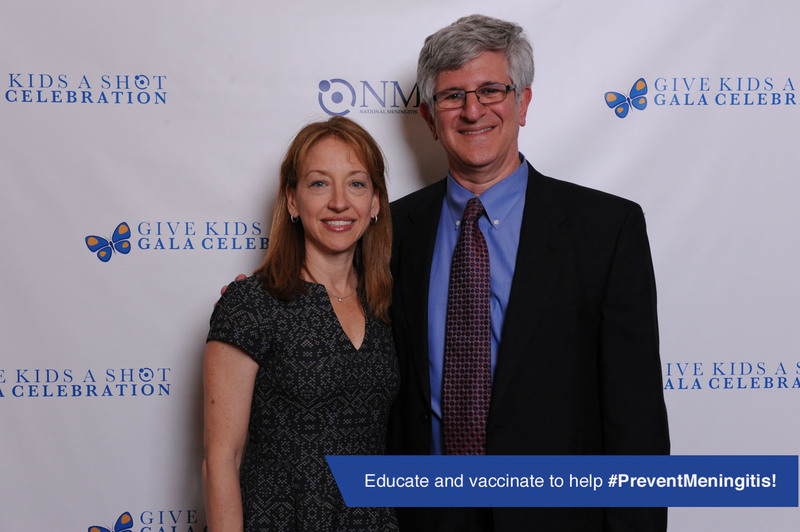 Witnessing their strength and determination is an inspiration to me, and one of the most rewarding parts of my job,” and that his first-hand experience has made him an advocate for meningococcal prevention. This year we, and his son T.E.A.M. 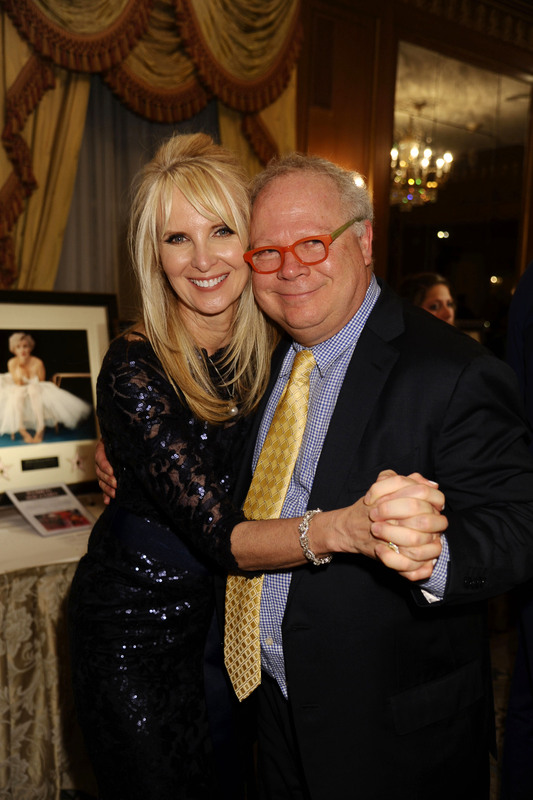 member Nick Springer, were honored give a special – and surprise – Champion of Progress Award to Gary Springer in recognition of his tireless dedication to making the gala a success each and every year and, more importantly, his commitment to realizing Nancy Ford Springer’s vision of a world where families don’t have to deal with this devastating disease. 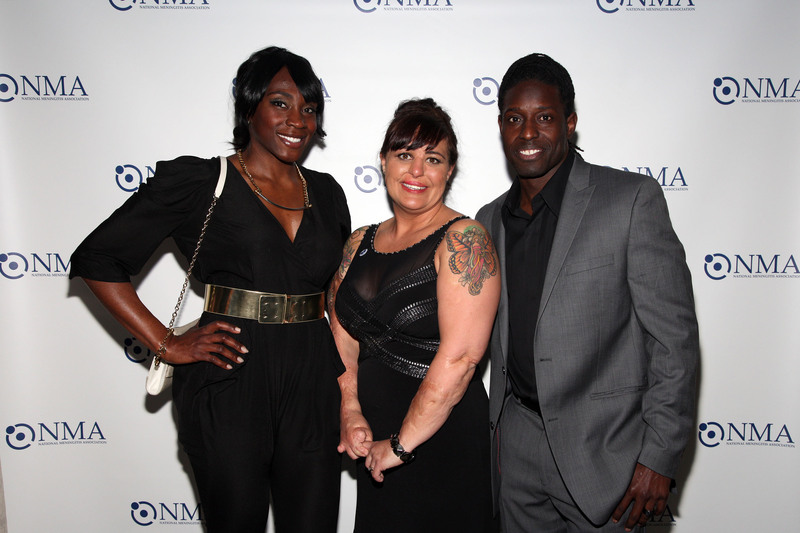 NMA president Lynn Bozof with Darius De Haas who performed at the gala. 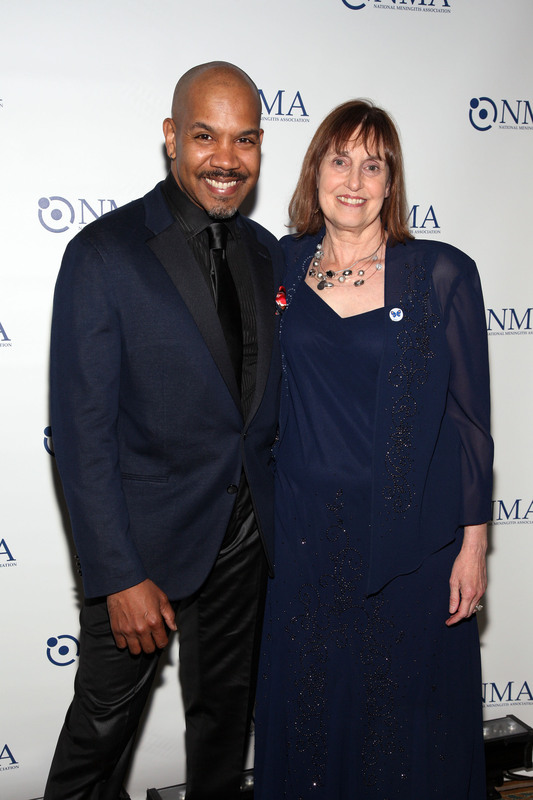 If you were unable to attend the gala but would like to support NMA, click over to Charity Buzz to bid on items including lunch with The Americans star Richard Thomas, New York Yankees tickets or a behind the scenes tour of Good Morning America!